Your library pretty much has it all, right? From online databases covering everything there is to know about Shakespeare to top-of-the-line video editing software, you’ve got the needs of students across campus covered. But even though you and your colleagues have dedicated years to ensuring the library has the latest and greatest resources, some students still won’t venture inside. Traveling abroad is supposed to be an exciting and educating experience for your assignees and their entire families. 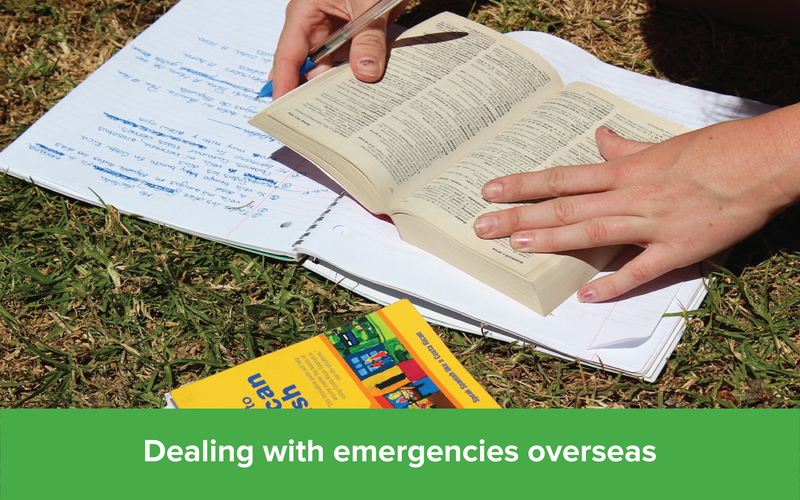 But sometimes, in an assignee’s encounters exploring the south of France or sightseeing in Thailand, emergencies can happen. College is an expensive four years for many students and their families. Between paying tuition, purchasing necessary books (yes, Chemistry: A Molecular Approach really did cost $217.53... used!) and getting set, students often don’t have much money left for frivolous spending. That’s when it comes time to find a part-time job—and your library is always in need of helping hands. With work-study programs gaining popularity among students, many are searching for on-campus employment to add a little extra cash in their bank accounts during the school year. 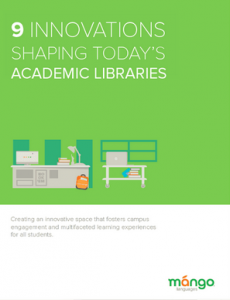 How do you attract students to the on-campus employment opportunities at your library? Read on to find out more! After years of working in an academic library, you know a thing or two about what students need to find success. Liberal arts majors come to the library looking for physical resources like books and literary magazines, while business majors are often crowding the study rooms to practice their upcoming group presentations. But what about the students who have gladly swapped their laptops for paintbrushes and textbooks for film reels? These studio art, theater and media production students have needs that may not relate to what’s in your library today—or so they think. How do you appeal to the creative majors on your campus? Read on for our tips. Think back to the beginning of your undergraduate career: What did you use the library for at that point in your education? Was it a go-to gathering place when working on group projects or a quiet oasis to get some serious studying done? How did that change as you moved from undergraduate to graduate studies? 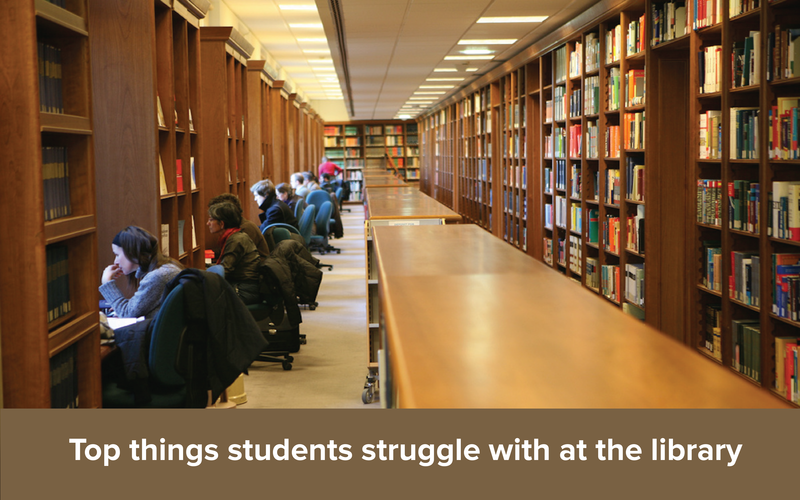 As an academic librarian, you know from your own experiences that the services students utilize most often depends on their level of schooling. The research needs of a college sophomore differ greatly from the help a graduate student needs to defend their thesis. How do you offer assistance to these vastly different kind of students? Read on for a few helpful tips. Congratulations, global mobility professional. It’s been a year or longer since you bade your assignee goodbye and sent them abroad. Ever since then, you’ve been staying in constant communication with them to ensure they’ve been able to adjust to life and work abroad. Finally, after many long Skype chats, WhatsApp messages and maybe even a visit abroad to see them in-person, you’re ready to bring your assignee back home. Repatriation isn’t as simple as just greeting your returning assignee with a smile and a jar of peanut butter (we all know how much they missed it). Just like going abroad, coming home can be jarring and confusing and can even involve a fair amount of culture shock. In order to alleviate some common problems involved in repatriation, here are three things for you to remember. For employees going abroad, being able to navigate the language and culture of their new home plays a monumental role in the overall success of their assignment. As a global mobility manager, you know it’s important to communicate this to your assignees and encourage them to soak up as much language and culture as they can before departure. And what better way to learn about the culture than curling up on the couch with a good film! That’s where Mango Premiere comes in. Here at Mango, we love language learning. We also love movies (and the snacks that go along with them). Mango Premiere combines these two activities, along with the snacks of your choosing, to create an approach to language learning that is both fun and easy. Want to recommend a Mango Premiere film to your assignees headed abroad? Here’s a list of our top five favorite movies on Mango Premiere. Kate and Vittorio meet by chance when Kate’s car stalls on a winding mountain road. Vittorio offers his assistance, and is instantly attracted to her. He soon learns that she and her family are part of a small traveling circus, and that she’s come back to rejoin them after leaving under mysterious circumstances 15 years prior. Your assignees may not run into many traveling circuses while in France, but this movie, directed by French New Wave pioneer Jacques Rivette, is a delightful introduction to modern French cinema. Assignees may recognize Jane Birkin, one of the most famous stars of the 1970s and namesake of the Hermés Birkin bag, as Kate. If they like this movie, you may want to recommend some of the great French New Wave films: L’amour fou, also by Rivette, François Truffaut’s Jules et Jim or Breathless by Jean-Luc Godard. Thirteen year-old Marta has just moved to the deep southern peninsula of Italy after spending the majority of her life in Switzerland. Here, she struggles to find her place amongst her mother, sisters and the ever-present Catholic church. This coming-of-age tale depicts Marta’s attempt to shape her own life in Italy and combat the troubles that adolescence brings. Fire up the coffee machine and ready the stacks: senior thesis writing is about to begin! Although the 2015 academic school year has just gotten started, motivated upperclassmen will soon be library-bound with a potential thesis topic in hand and a long list of research questions in mind. This time of year usually calls for instructing new students on library basics, but don’t forget about your university’s seniors. Thesis writing is a long, research-heavy process that will require all the help your academic library staff can provide. 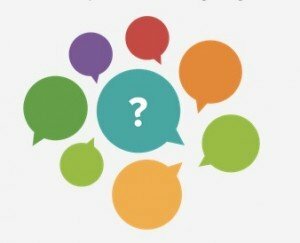 Want to make sure your library is ready for the influx of senior thesis questions? Here are a few tips to get your space ready for senior thesis time. While coordinating global reassignment is a big task for employees leaving your office, global mobility managers need to handle incoming assignments as well. Just like those Americans you’ve sent abroad, expats coming to the United States face a variety of challenges in both culture and language learning that can make or break their time here. It’s up to you to make them feel welcome in their new U.S. office and ensure they’re adjusting accordingly. Read on for few tips on rolling out the American welcome mat.